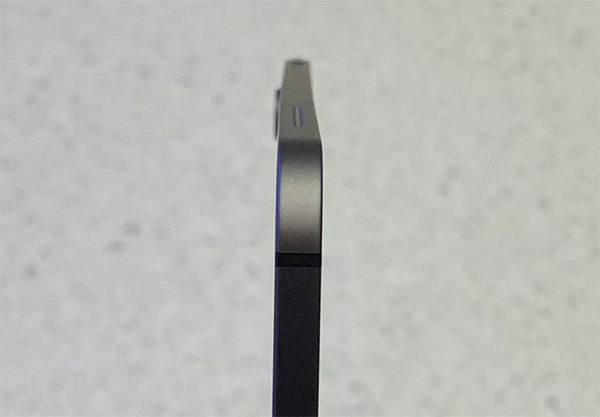 If you own a 2018 iPad Pro and think that it’s bent, you might actually be right. Ever since the iPad Pro arrive in both 11-inch and 12.9-inch guises a few weeks ago, people have been reporting that not only have some of their tablets been inexplicably bending with no maltreatment, but that some have actually arrived bent right out of the box. Now, Apple has confirmed that this might actually be the case and that it’s perfectly normal. The idea of iPad Pros bending started when YouTuber JerryRigEverything released a video that showed him bending an iPad Pro with little force and surprising ease. While we’re not sure that means anything – bending a slab of thin metal and glass isn’t going to be hard for a grown man – it did highlight how fragile thin tablets can be. Now, according to Apple, it’s possible that some iPad Pro tablets are arriving in stores already bent, thanks to the way they are manufactured. It’s not considered a defect, and is purely cosmetic. While the issue appears to impact both sizes of iPad Pro, cellular models seem to be the most susceptible thanks to their antenna lines. It’s possible these are reducing the structural integrity of something that is already fairly flimsy. 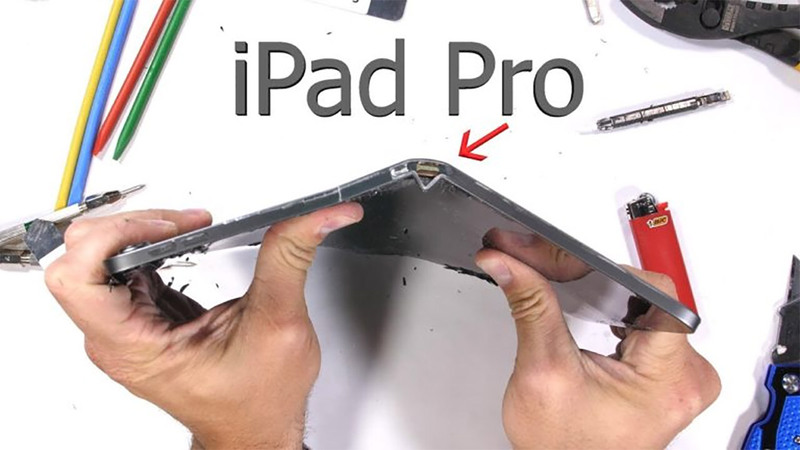 While none of our iPad Pros suffer from this, The Verge’s Chris Welch said that he not only had an iPad bend, but that the replacement was also bent out of the box. Apple is now saying that in some cases, the latter is true. And I can personally vouch for that: my 11-inch iPad Pro showed a bit of a curve after two weeks. Apple asked if I would send it their way so the engineering team could take a look. But the replacement 11-inch iPad Pro I received at Apple’s Downtown Brooklyn store exhibited a very slight bend in the aluminum as soon as I took off the wrapper. If you notice a bend in your new iPad Pro, we’d suggest taking it back to the store you bought it from, especially if you are within the 14-day return window. That’s a patent Apple has already applied for its defective devices “iNotDefect”. That’s the way Apple gets in to a super charged self destructive mode. Where’s James at in order to make up some Apple fanboy excuse and to tell everyone else how poor and stupid they are because we don’t worship Apple? ? LMAO! This is total BS. Fake news. Apple said no such thing. I just called two stores and they flat out deny any such statement and if your pad is bent out of the box then bring it in and they’ll replace it right away assuming they have stock. People are so stupid these days they’ll believe anything.